Briefly, a short sale package contains information from both the seller and the seller's agent.The seller supplies a hardship letter and documents to verify that hardship. This will include bank statements, medical bills, a divorce decree, layoff notices, etc.The seller's agent will submit information justifying the list price, along with other listing and property information. He or she will also submit proof that the home is being marketed. Early preparation of the short sale package for your Los Angeles home is important because the package must accompany any offer the seller is asking the bank to approve. When posted to MLS and other real estate portals, the listing will clearly show that it is a Los Angeles short sale offering. This gives buyers and their agents notice that it will not be a quick sale and that 3rd party approval will be required even after an offer is accepted by the seller. It also gives buyers and their agents notice that they should submit a strong, clean offer. The bank's negotiator will probably disapprove an offer calling for repairs and other seller concessions to the buyer. One point of confusion centers around short sale pre-approval by the bank. Under the HAFA program a Los Angeles homeowner may become pre-approved, with a selling price already agreed upon by the lender. However, this is not a condition of all short sales. The next point of confusion involves the seller's position in the transaction. Contrary to what many still believe, all offers are submitted to the homeowner, not the bank. Only after the homeowner accepts an offer will it go to the bank for approval. In a multiple offer situation it is the homeowner, not the bank, who chooses which offer to accept. Multiple counter offers are not uncommon so be ready to compete for an L.A. short sale as much as you might for a standard sale. What constitutes a strong, clean offer on a Los Angeles short sale? In general, a strong offer is one that is not less than 70% of the balance due on the mortgage. It's also an offer with a price in keeping with the prices of recently sold comparable properties. Although short sales are good buys, the story that banks will accept pennies on the dollar just to clear out inventory and avoid the expense of foreclosure is a myth. Next, a clean offer is free of all but the most basic contingencies and accompanied either by a letter of pre-approval from a recognized lender or proof of funds for all cash offers. Either way, it should include proof of funds to cover the down payment and closing costs. In short, a strong clean offer gives verification to the seller that you can purchase the home once the lender has approved your short sale offer - and that you aren't making demands that the bank will not approve. A strong offer is also accompanied by an earnest money deposit – normally in an amount equal to 3% of the purchase price. These funds will be placed into escrow within 3 days of written approval from the bank, so make sure that your funds are available. Your offer will be even stronger if you agree to put a portion of your deposit into escrow at the time off acceptance by the seller. Even though esccrow will probably be willing to accept a personal check for earnest money, it isn't unusual for the bank request funds in the form of a cashier’s check or wire transfer. 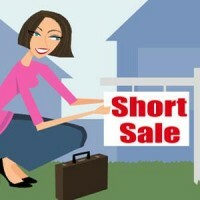 Once the short sale offer/request for approval is submitted to the lender, they'll assign a negotiator to the property. This negotiator will hire an independent agent to prepare a broker price opinion (BPO) which will be compared to the offered price. When that agent is not familiar with the neighborhood and the comparable properties, this can present a problem because his or her BPO will not be an accurate representation. This has been one of the sticking points in Los Angeles short sale negotiations. In this case, the seller's agent may have to submit additional verification to justify the price, and the lender may hire an appraiser to determine fair market value of the short sale property. While the bank may accept or reject the offer outright, usually the negotiator will provide the listing agent with a list of what they will pay for and what the final payoff must be to the bank. The lender may ask the buyer to assume additional costs or raise the offer price. Negotiations continue until, hopefully, an agreement is reached. Is a Los Angeles County short sale worth the time and effort? Yes! A short sale allows the seller to walk away without a foreclosure on his credit record while it rewards a patient buyer with a good deal on the house of his choice. Also, if the sellers had a second mortgage, it protects them from a deficiency judgment that can occur if the property is foreclosed on rather than sold short. A Los Angeles short sale is a win-win situation for everyone!